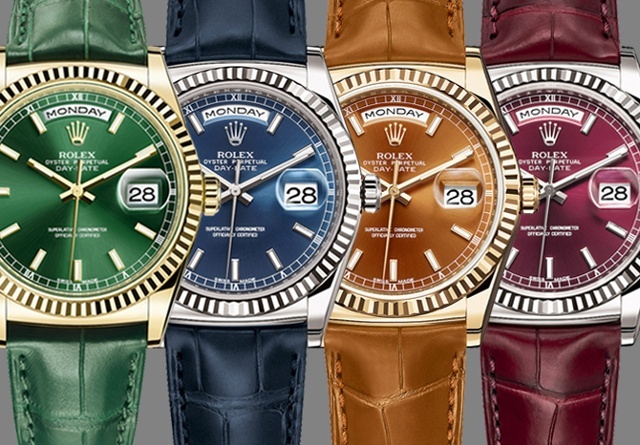 Rolex’s yearly offerings at BaselWorld are always among my top new releases to watch. 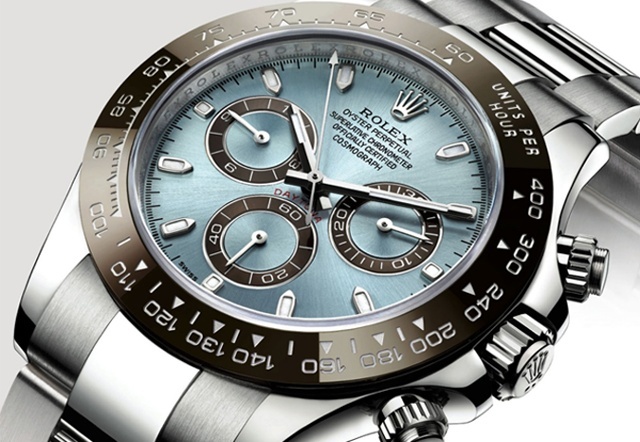 2013 marked the 50th anniversary of the Daytona chronograph, and Rolex fans were eagerly waiting to see how the anniversary would be commemorated. The new Cosmograph Daytona comes in a 40mm platinum case, and is the first time the watch has been produced in this metal. The dial is ice blue with chestnut brown counters matching the chestnut brown Cerachrom ceramic bezel with tachymeter scale. The watch comes on a platinum Oyster bracelet with a folding Oysterlock safety clasp and is water resistant to 100 meters. To further anticipation for Basel 2013, Rolex teased an enigmatic image of a graduated bezel on the homepage of their website before the show began. Not quite revealing the watch in question, online forums were buzzing with various hypotheses, many revolving around the GMT. 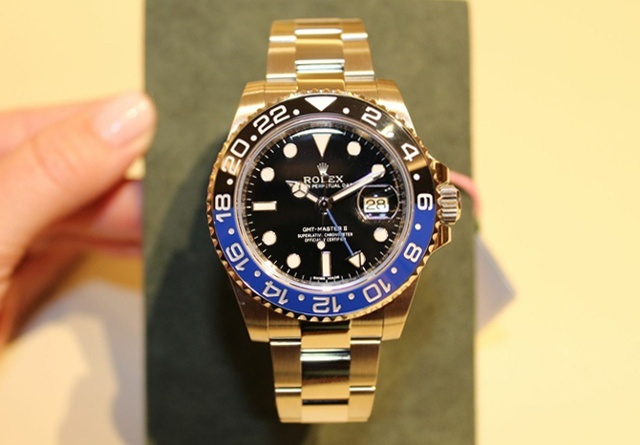 Rolex introduced a GMT-Master II with two-tone blue and black Cerachrom bezel, a design reminiscent of the two-tone bezels used on the original GMT-Master and GMT-Master II watches favored by Pan Am pilots because of their multi time zone legibility. 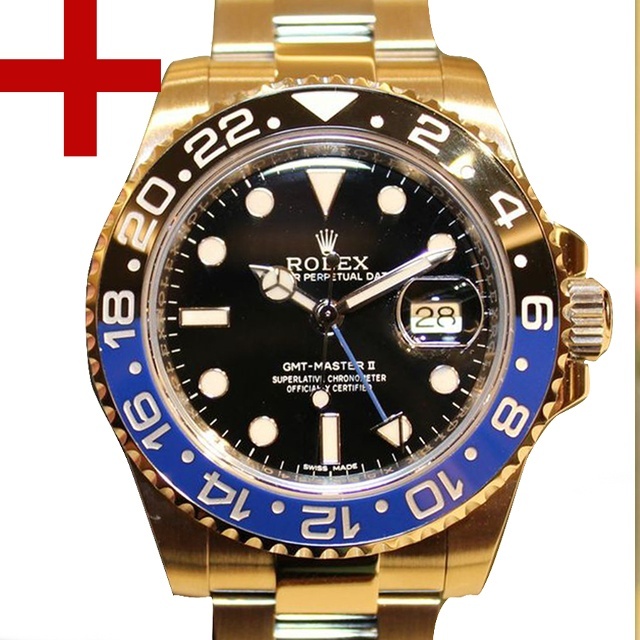 The GMT-Master II comes on a Rolex Oyster bracelet with the Easylink 5mm bracelet extension for comfort. Third on the list of updates from Rolex this year is the Oyster Perpetual Yacht-Master II. Available for the first time in steel, this chronograph allows skippers to time the crucial start sequence at the beginning of a regatta by triggering a countdown set between one and ten minutes. 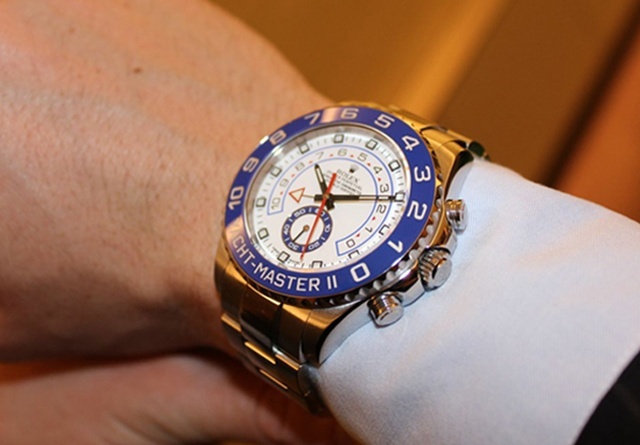 The blue bezel in the Yacht-Master II also uses a Cerachrom insert, and it is the rotation of the bezel itself that programs the regatta countdown function. A departure from the rugged sport watches above, a new version of the Day-Date is now available in yellow, white or Everose gold with leather straps that match the colors of the dial. These new dial colors – cognac, cherry, chocolate, green and blue – vary according to the material used for the 36mm case. A rhodium dial and black strap variation is also available for those interested in a more classic look. The Rolex Day-Date was the first chronometer to indicate the date and the day of the week, written out in its entirety on the dial, when it was introduced in 1956. All photos are courtesy of the iW Magazine team reporting live from BaselWorld 2013 and Rolex.